Hi, I'm Chris, it's lovely to meet you! I live just outside Newbury, right down the middle of the Berkshire/Hampshire boarder! My wife Stacey and i married on the warm shores of the Dominican Republic and last year we renewed our wedding vows on our 16th Wedding Anniverary! We have 2 wonderful children, Megan and Max! Not forgetting our Furbaby, Daisy, she is a chocolate Cockapoo and is totally bonkers, she even made it onto the front page of this years Pets at Home Cockapoo Calendar! Such a Diva! I left behind almost 2 decades of working as a live event technician , working on corprorate events all around the globe to follow my dream. 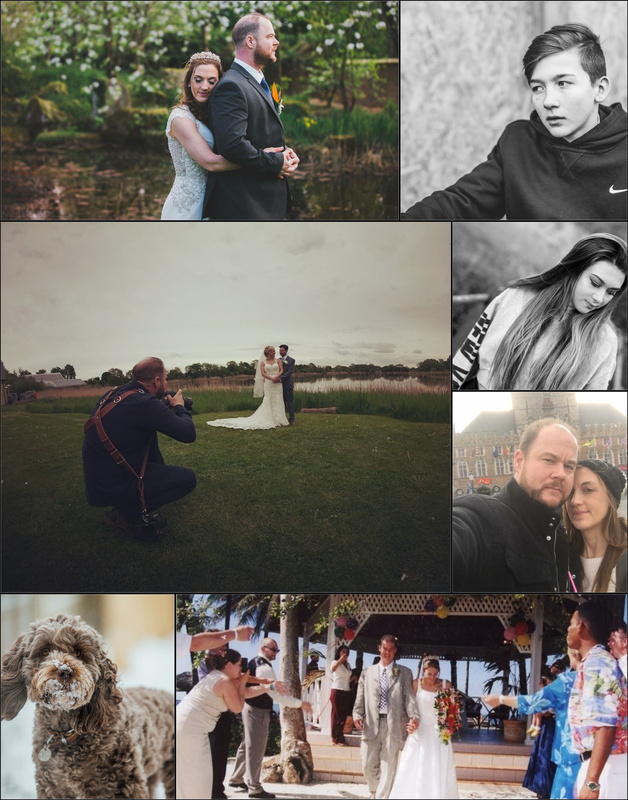 Having shot over 250 weddings over the past 8 years , driven by passion to create the most amazing photographs possible for wonderful couples, i do actually have the best job, EVER! I attend workshops on a regular basis led by some of the worlds leading wedding photographers , constantly building my skillset to be the best i can possibly be! Everybody has a story to tell and I would love to tell yours!